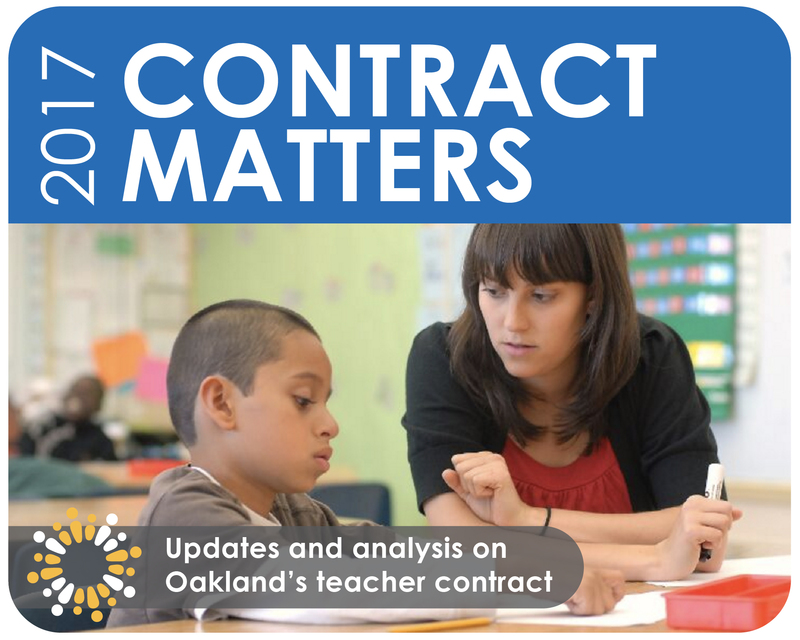 The teachers union, Oakland Education Association (OEA), and the Oakland Unified School District (OUSD) collective bargaining teams have released their initial proposals for the new teachers’ contract, the collective bargaining agreement. Educator compensation, with OUSD seeking to continue a “revenue sharing model” and OEA asking again for compensation to be be brought to the Alameda County median. Peer Assistance and Review, a coaching program traditionally seen as only for “struggling teachers.” Given the recent findings from the coaches who also presented last week, the union would like to rename PAR to reflect it’s current use as Educator Support. Special Education class sizes, caseloads, and language regarding the practice of inclusion. There were some articles that were only opened by one side. In the bargaining process, these will also be negotiated, and may be some of the most difficult to come to agreement on. OUSD has requested that the pilot evaluation system,Teacher Growth and Development System (TGDS), be instated as permanent. They have also opened up the articles regarding contract waivers and specialized programs- two articles that were cited in discussions about turning around struggling schools last bargaining period. The union is requesting more planning time for Elementary teachers, language ensuring developmentally appropriate programming for Transitional Kindergarten and Kindergarten, and adding specific supports for newcomer students. In addition, according to their Bargaining Blueprint, the union would like to add three new articles to the contract- Educator Leadership, Dual Enrollment/Concurrent Enrollment, and Common Sense Accountability and Transparency. 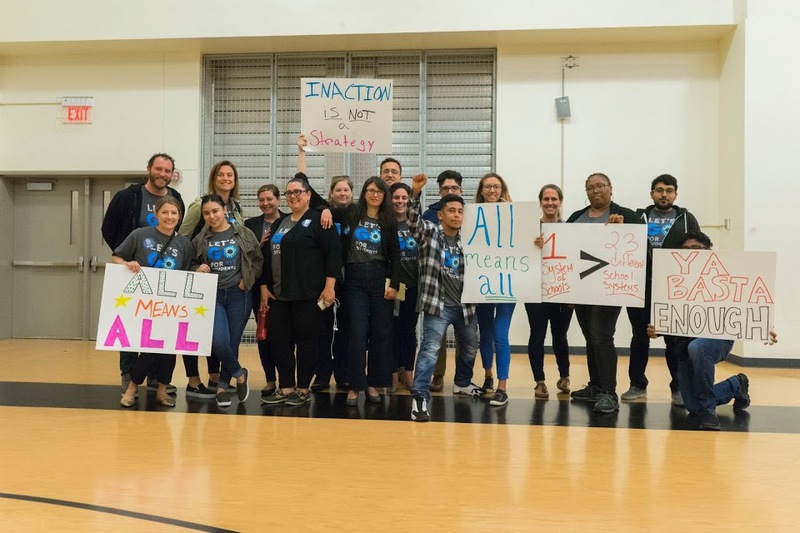 GO’s Teacher Policy Fellows are excited that the teachers union, included new teacher support and leveraging teacher expertise in their initial proposal for renewing the teachers’ contract, as recommended in the Teacher Policy Fellows’ policy briefs. Recommendations in the briefs include that all new teachers receive support from a mentor and that teacher leadership positions are clearly defined, accessible to all teachers, and properly compensated, all of which are reflected in the proposal presented by the union. We are proud that the Fellows’ voices, along with their OEA colleagues’, were heard loud and clear in these areas. After presenting their initial proposals at the school Board meeting, the bargaining teams will meet until they reach a tentative agreement. Although the current contract expires on June 30th, 2017, the deadline for a new contract is open. The bargaining teams are currently planning to meet 7 times this school year; February 27th, March 15th and 28th, April 10th and 17th, and May 4th and 15th. If the teams have not reached an agreement by the end of the school year, they will take a break during the summer and then resume meeting for bargaining sessions next school year. Look out for continued communications in the Contract Matters series where I’ll diver deeper into other issues that will be negotiated such as compensation, class size, the Teacher Growth and Development system, and more!